Perfection can be hard to come by, so when a California couple described Athens as “a perfect place” to “truly grow” their business, it was music to many ears. What did it take to be “perfect,” to lure a company that would create jobs and expand the tax base? The answer is proactive partnership. Throughout the last year, Henderson County Commissioners Court has joined forces with Athens Economic Development Corporation (AEDC) to leverage community resources and utilize economic development tools to attract two major business projects to the city of Athens. These efforts have resulted in a projected $10 million in capital investments and the creation of approximately 275 full-time jobs over a five-year period. “Henderson County has created reinvestment zones in the county in order to promote job creation and economic development,” explained Henderson County Judge Richard Sanders. The creation has certainly paid off. For example, the Clayton Home Building Group, a 60-year-old business, decided to build a home of its own in Athens, the county seat of Henderson County. Clayton received a five-year tax abatement from Henderson County on their $8.25 million dollar investment; a reinvestment zone is required for a tax abatement. In addition, the AEDC and the Athens City Council approved a $300,000 incentive package for job creation by Clayton, and the city of Athens entered into a Chapter 380 agreement for tax rebates that will be offered on a sliding scale over a five-year period. Clayton purchased an existing facility of 142,223 square feet in Athens, which they expanded to 168,816 square feet and officially opened in October 2016. Plans call for a minimum of 250 full-time employees over a five-ear span, with wages set at $14-$16 per hour plus benefits. Clayton employees from other manufacturing locations in the region will train at the Athens facility, shared Lisa Denton, AEDC executive director. “The project has a direct impact on the Athens community by generating an estimated $16,250 in sales tax, along with an increase in the housing market due to an escalation in resident growth,” Denton added. The Clayton Home Building Group is part of Berkshire Hathaway, which is currently No. 4 on the list of Fortune 500 companies. California-based HVAC Manufacturing Inc., which manufactures products in the heating and air-conditioning business, opened a facility in Athens in April 2016 with 40-plus full-time employees currently online. The AEDC approved incentives for HVAC including selling the facility to HVAC and carrying a 10-year note, providing approximately $320,000 in building renovations, and offering a $75,000 jobs incentive. Henderson County contributed to the effort by working with HVAC to allow access across county property. The Intelligent Air Valve product, just one of many products HVAC is rolling out, is the first to hit the global market, Denton reported. “With this new product, HVAC will have a lot of visitors coming to Athens from North America and around the globe who want to come and see the factory where the product is made before they commit to million-dollar orders,” Denton noted. Tax increment financing is a tool local governments can use to employ public financing for improvements to infrastructure and buildings within a designated area known as a reinvestment zone. Henderson County worked with the city of Chandler on this type of financing to develop property within the city. “The infrastructure construction of a new road and utilities has brought a new hotel and health care clinic to the city,” Sanders shared. The future tax revenues of each taxing unit that levies taxes on the property located within the zone repay the cost of improvements. Each taxing unit may choose to dedicate all, a portion of, or none of the tax revenue gained as a result of improvements within the reinvestment zone. The relevant statute outlines a multistep process for implementing tax increment financing. More information is available at https://comptroller.texas.gov/economy/docs/96-1201.pdf. A tax abatement is a local agreement between a taxpayer and a taxing unit that exempts from taxation all or part of the increase in the value of real property and/or tangible personal property for a period not to exceed 10 years. The purpose of tax abatements is to assist cities, counties and special purpose districts to attract new industries, encourage the retention and development of existing businesses and promote capital investment by easing the property tax burden on certain projects for a fixed period of time. Cities, counties and other special districts are authorized to enter into tax abatement agreements. Generally speaking, school districts do not participate. Tax abatements entered the scene in Texas in 1981 when state law allowed their establishment by local government entities. The 81st Legislature extended the provisions of Chapter 312, Tax Code, the Property Redevelopment and Tax Abatement Act, until Sept. 1, 2019. Without this legislation, the authority of counties and cities to approve new tax abatement agreements would have expired on Sept. 1, 2009. Abatements can last for up to 10 years. Tax abatement agreements may be modified by the parties by the same procedure by which the original agreement was approved. The modification cannot extend the term beyond 10 years. The commencement of the abatement may be deferred. Tax abatements may exempt from taxation real property and personal property for eligible properties, including inventory and supplies, according to the Texas Property Tax Code. The agreement may exempt all or part of the increase in taxable value. The 81st Legislature also clarified the authority of a county to grant a tax abatement on leased property and tangible personal property. Only a city or county can initiate a tax abatement. The initiating party is the “lead” taxing unit. If the property in question is located inside the city limits, the city must initiate the tax abatement. When the property is inside the city’s extra-territorial jurisdiction (ETJ), either the county or city may initiate the process. Regarding property outside the city’s ETJ, the county must initiate the abatement procedure. The lead taxing unit designates the required reinvestment zone. The lead unit must conduct a public hearing before designating a reinvestment zone and give notice to other taxing units; each unit then adopts a resolution declaring its participation and terms, which may differ from other taxing units. Any taxing unit in the reinvestment zone may participate. In order to participate in an abatement, each taxing unit must adopt tax abatement guidelines and criteria. 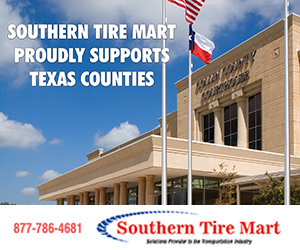 Once adopted, guidelines and criteria may be amended or repealed only by a vote of three-fourths of the Commissioners Court. The different taxing units may have different sets of guidelines. The guidelines and criteria are effective for two years. provide for recapture if the owner fails to make improvements and meet targets in the agreement. Counties may hold an election in all or part of the county to create one or more county assistance districts and adopt a sales tax to fund the districts. Any county may adopt this sales tax, in all or part of the county, if the new combined local sales tax rate would not exceed 2 percent at any location. The tax may be adopted in increments of one-eighth of 1 percent to a maximum of 2 percent. A district may undertake a variety of projects including roads or highways; provision of law enforcement and detention services; the maintenance or improvement of libraries, museums, parks or other recreational facilities; or other services that benefit the public welfare. ext. 3-4679, or go to https://comptroller.texas.gov/economy/docs/96-1172.pdf. The Texas Enterprise Zone Program is an economic development tool that enables local communities to partner with the State of Texas to promote job creation and capital investment in economically distressed areas of the state. Local communities may provide incentives such as tax abatements, fee waivers and reduced regulations to businesses within an enterprise zone. Communities also may nominate businesses for selection by the state as enterprise projects. As such, these businesses may be eligible for sales tax refunds and other benefits. The comptroller’s office administers enterprise zone tax refunds under Tax Code Section 151.429. More information is available at https://comptroller.texas.gov/economy/docs/96-1201.pdf. Chapters 380 (cities) and 381 (counties) of the Local Government Code grant cities and counties broad discretion to make loans and grants of public funds or the provision of public services, at little or no cost, to promote all types of business development including industrial, commercial and retail projects. Each agreement can be uniquely tailored to address the specific needs of both the local government entity and the business prospect. Cities should review their charters for provisions which might restrict their ability to implement an incentive agreement. Both cities and counties should consider adopting policies or guidelines to provide a framework for negotiating development agreements. Cities and counties throughout Texas have utilized Chapter 380/381 agreements to attract businesses and jobs to their communities. More information is available at https://comptroller.texas.gov/economy/local/ch380-381/index.php. Home rule cities, general law cities and some 60-plus counties are authorized to impose a local hotel occupancy tax within their jurisdictions. For most cities the tax rate may not exceed 7 percent of the price paid for the use of a hotel room. The tax rate for eligible counties varies. Cities with populations under 35,000 also may impose the hotel occupancy tax in the city’s extraterritorial jurisdiction (ETJ). If a city adopts the hotel occupancy tax within its ETJ, the combined rate of state, county, and municipal hotel occupancy taxes may not exceed 15 percent. 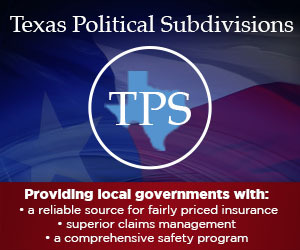 More information including eligibility requirements is available at https://comptroller.texas.gov/taxes/hotel/. Public improvement districts (PIDs) offer cities and counties a means for improving their infrastructure to promote economic growth in an area. The Public Improvement District Assessment Act authorizes cities and counties to levy and collect special assessments on properties located within their limits or ETJ. Certain large counties have additional financing options available. PIDs may be formed to create water, wastewater, health and sanitation, or drainage improvements; street and sidewalk improvements; mass transit improvements; parking improvements; library improvements; park, recreation and cultural improvements; landscaping and other aesthetic improvements; art installation; creation of pedestrian malls or similar improvements; supplemental safety services for the improvement of the district, including public safety and security services; supplemental business-related services for the improvement of the district including advertising and business recruitment and development; or tourism-related improvements in certain cities located in Dallas and Tarrant counties. More information is available at https://comptroller.texas.gov/economy/docs/96-1201.pdf. This sales tax is one of several revenue options available to a city or county to fund sports and community “venue” projects. Multiple cities and counties in any combination may join to form a venue district under Chapter 335, Local Government Code, as well. Some examples of a “venue” are a stadium, convention center, park or economic development-type facility. The rate for a county imposing the tax is capped at one-half of one percent. If the county already has a combined local sales tax rate of 2 percent, the county may not levy this tax. More information is available at https://comptroller.texas.gov/economy/docs/96-1708.pdf. Sponsored Content: Learn how Lynn County Jail installed a new Guard Patrol system that will help mitigate liability, secure inmates’ safety, and minimize wrongdoings. Lynn County Jail is the first jail in Texas to install Guard Patrol Check by Guardian SEcurity Solutions. Lynn County purchased 32 devices and a custom-made server that is designed to run the Guard Patrol Software. The Guard Patrol is an all-in-one device which provides a built-in reader, a camera with the option to view a live mode, and the Guard Patrolsoftware which produces unmanipulable logs with photos of cell checks. The Guard Patrol Check provide real-time accuracy, accountability, and instant communication with the jail’s control room. The unique combination of features provides jails with an enhanced level of security. By being able to physically have logged timestamps when a cell check is performed, and by being able to have the photos of the cell and the guard checking the cell, the Guard Patrol Check can help minimize any wrongdoings and mitigate liability. This electronic cell check device has been modified to exceed the requirements and requests of Texas Jail Standards. The Texas Legislature passed House Bill 1951 on Sept. 1, 2013, requiring all 9-1-1 telecommunicators (dispatchers and call-takers) to become licensed within their first year of employment. To help meet the new mandates, the North Central Texas Council of Governments (NCTCOG) 9-1-1 Regional Advisory Committee requested that the NCTCOG 9-1-1 Program conduct a feasibility study to find the best way to meet the new directives for new career telecommunicators. The Regional Police Academy’s Basic Course in Applied Police Science, which serves as the foundation course for becoming a law enforcement officer, became the basis for the Regional Telecommunicator Academy (RTA). After a year of research and planning, the NCTCOG 9-1-1 Program completed two pilot Regional Telecommunicator Academies and successfully graduated 40 recruits. On Aug. 25, 2016, the NCTCOG 9-1-1 Regional Advisory Committee unanimously approved the continuation of the RTA. What does the RTA offer? The RTA offers a four-week, Texas Commission on Law Enforcement (TCOLE)-approved curriculum for 9-1-1 telecommunicators to obtain all licensing and training required within their first year of employment. The NCTCOG 9-1-1 Program’s RTA is the first in the nation to offer a licensing program opportunity to ensure 9-1-1 telecommunicators are prepared to be the FIRST first responders. The curriculum consists of the courses below. Public safety agencies are invited to work with RTA Staff “frontloading” materials such as department-specific tests, policy and procedures, signal and disposition codes, geography, and/or continuing education (FEMA, TERT, and MyTCOLE), to name a few. This minimizes the on-the-job training and prepares new career telecommunicators in becoming a comprehensive partner in public safety. The RTA staff provides weekly updates to the recruit’s supervisor and/or manager highlighting his or her initiative, cognitive learning, and assertiveness. Evaluations keep all parties apprised on strengths and weaknesses. The RTA is free of charge to Telecommunicators sponsored by a public safety agency. The RTA increases financial savings by eliminating training costs incurred by the public safety agency. This includes manpower shortages, training officer backfill, and overtime costs. Further non-tangible savings occur when recruits receive all of their training during one block of time and not piecemealed over the span of one year. When is the next RTA? For more information, contact Brandon Isham, NCTCOG 9-1-1 Training Coordinator, at BIsham@nctcog.org or 817-695-9205. On April 29, nine tornadoes, some with winds as high as 160 mph, left a trail of destruction through Van Zandt, Henderson and Rains counties killing four people and injuring dozens. Hundreds lost everything. Van Zandt County created an official Tornado 2017 page sharing numbers for a Tornado Crisis Hotline and offering a list of resources including information on donations, shelters, victim assistance, volunteers, public housing and even chain saw sharpening. As quickly as the tornadoes came, so did the volunteers. As of press time, the community was still in the midst of recovery, asking for specific items for the Donations Warehouse at the Van Zandt County Fairgrounds. For information on how you can help, please visit the Van Zandt County Tornado 2017 Facebook Page. North and East Texas has had its share of severe weather in recent years including large hail, damaging winds and tornadoes. The storms experienced in April by Van Zandt, Henderson, and Rains counties were a stark reminder of what we had here in Johnson County in May 2013 and again April 2015. We experienced an outpouring of help from volunteers, donations, and most importantly, the prayers of neighbors near and far. Various organizations, churches and local retail all came to the aid of victims and responders. We in the North and East are family, and we know it could easily be any of us at any time. The devastation takes years to overcome. Our heartfelt prayers are with those in the affected counties.